Condition Details: Turns on, runs on all speeds, responds to turn dial control. 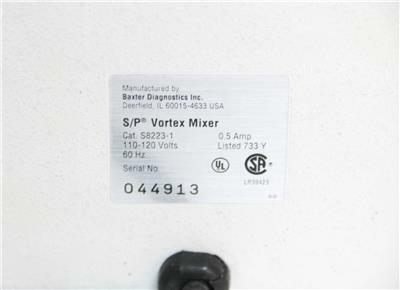 This is a vortex mixer unit from baxter scientific. 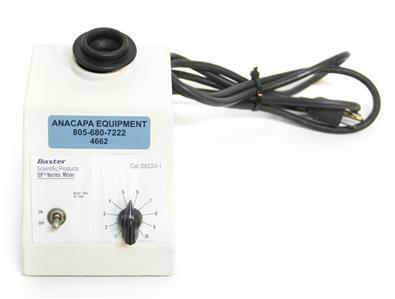 This lab mixer has variable speed controls and will shake your test tubes in a gentle 500 rpm all the way up to 3000 rpm for a more vigorous shaking. 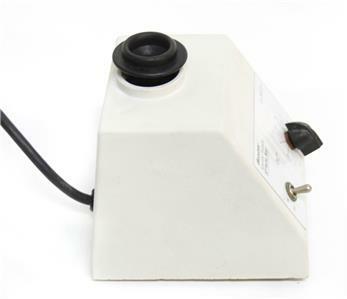 The chemically resistant cup of this vortexer is made of black rubber, and will shake your samples by simply depressing the cup. 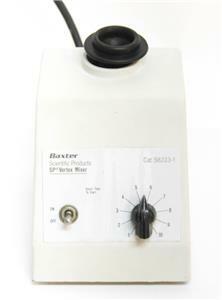 The cast metal base of this vortexer has just enough weight to keep it in place on your work surface. Small footprint and durability are both key features of this item. See images for full item description. 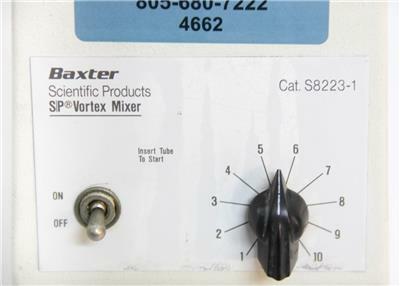 Description: Mixer has variable speed controls and will shake your test tubes in a gentle 500 rpm all the way up to 3000 rpm for a more vigorous shaking. 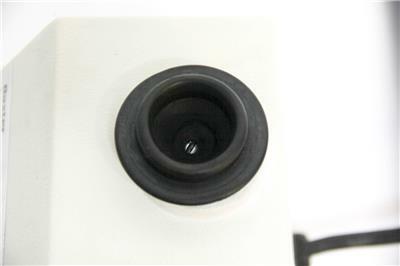 The chemically resistant cup of this vortexer is made of black rubber, and will shake your samples by simply depressing the cup. 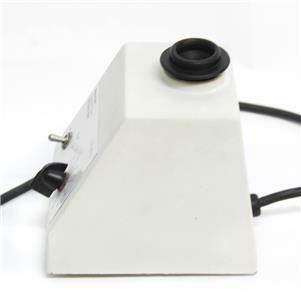 The cast metal base of this vortexer has just enough weight to keep it in place on your work surface. 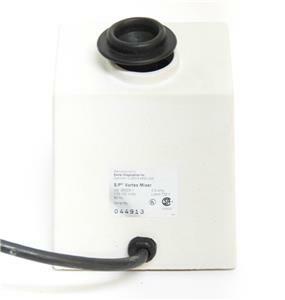 Small footprint and durability are both key features of this item. See images for full item description. Defects: Some cosmetic wear present, will not affect function. Dimensions: 6" x 5" x 6.5"